Mourinho was living days of prolonged and convoluted pain. “I believe the survival of the English Market over the last hundred years is down to the families who have ran the stalls from generation to generation. They have kept it going.” So said Garrett Murphy, as we chatted over a cuppa in the Farmgate Cafe. 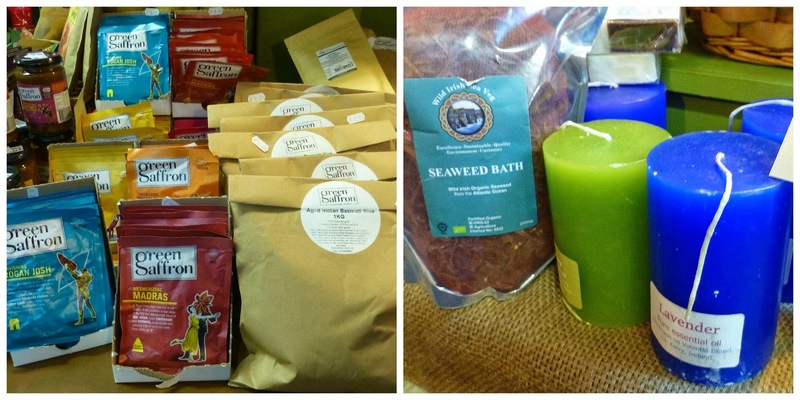 Garrett, a current stallholder, knows what he is talking about! For fifty years, his father Michael ran the Roughty Fruit King stall in the centre of the market, until ill health came in 2011. Four generations of the Murphys worked there, in different locations, until they settled on the current stall in 1961. Nowadays, Garrett and his sister Margot Ann work in the new look foodie stall (now called The Roughty Foodie) and they have help from time to time from younger members of the family. Two thousand and eleven was the year of the Queen’s visit and the Murphys, in transition from a specifically fruit stall to something more general, weren't ready for her but, with help and encouragement from the City Council and fellow traders, they were up and running for the peak summer months. 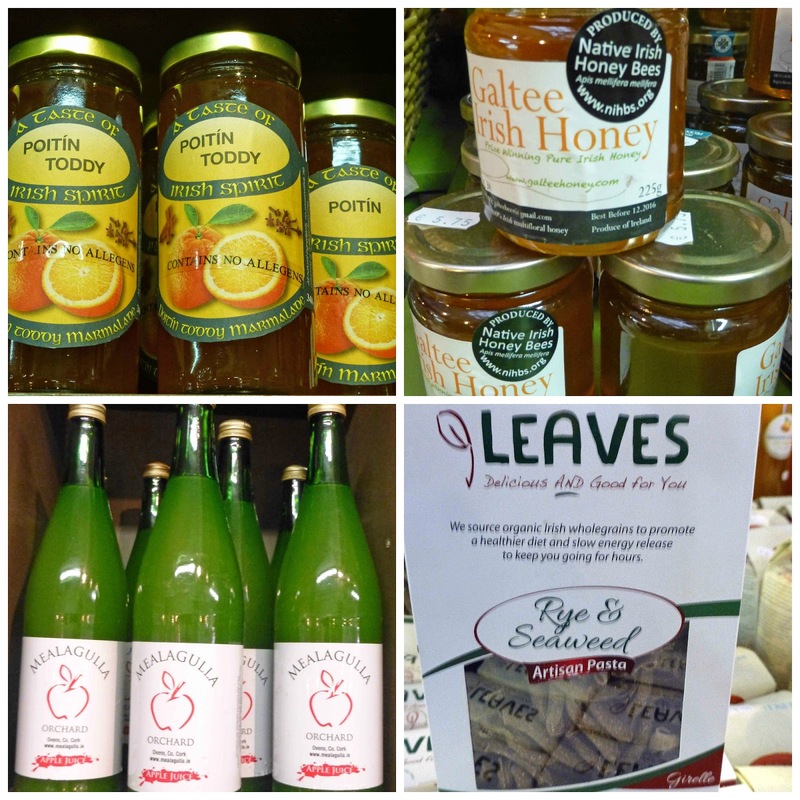 They moved along from there with new producers coming on board, including Brian from Beechwood Farm and his brother Colm from Horizon Farms, Mags (who makes a great Lemon Curd) from Heavenly Preserves and Betty Smith with her jams and marmalades. 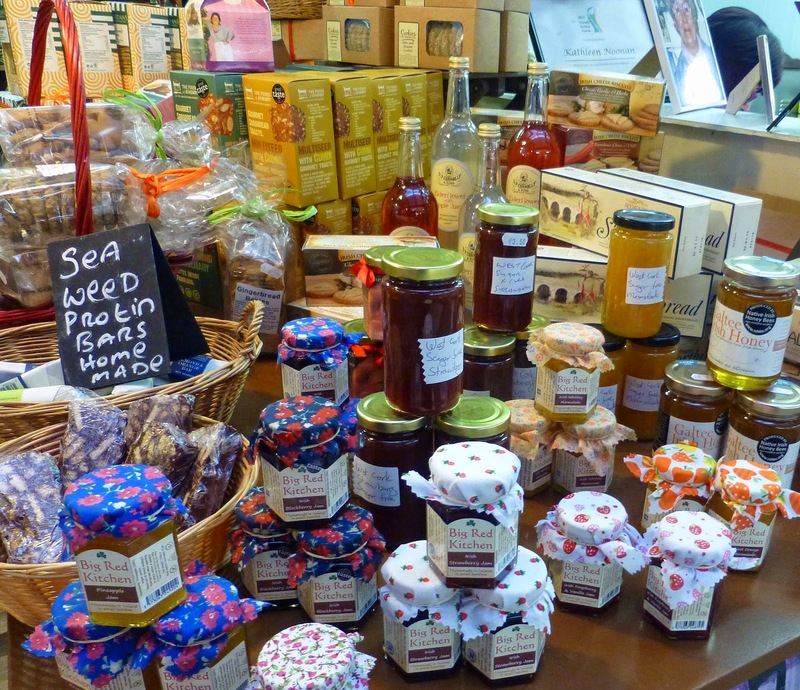 Also joining were Harty’s Jellies, Taste the View, while local strawberries came from Rathcooney. “The two months July and August of 2011 were great. The tourists came flooding in and kept buying, the locals too despite the parking problems. Traders told us it would get better in October and November but that didn't happen and we were worried until December and the run-in to Christmas which proved massive for us and had us back on track”. What are his own favourites? 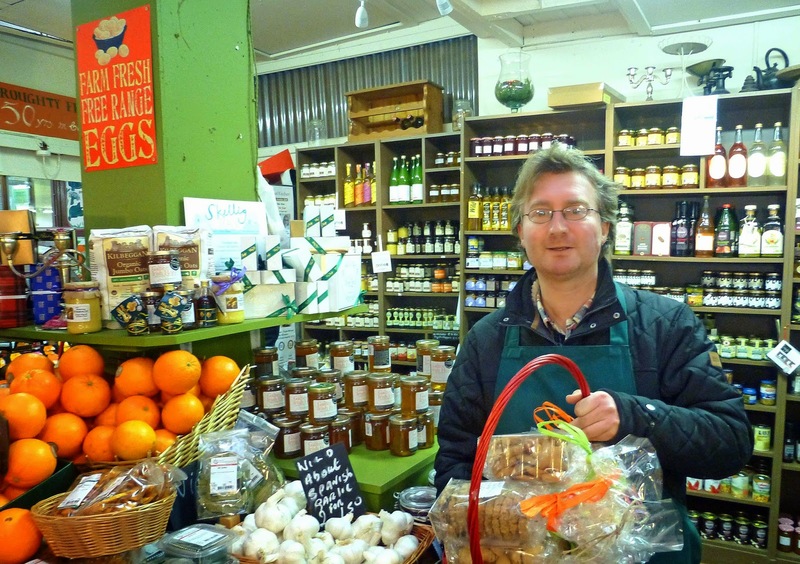 Licking his lips he had no hesitation: Eddie Hicks’ fantastic bacon jam and Ballybrado Supreme Spelt muesli. He has great time too for Kitty Colchester’s Happy Heart organic rapeseed oil and the High Bank Farm Apple Syrup. And indeed is enthusiastic about every single product he displays! The stall is packed with food. But it is not just food. Tourists love the Seaweed Bath. The Goats Milk soap from the Burren is very popular too and he has a great candle-maker from Portmagee on Valentia Island. So do go in and explore. 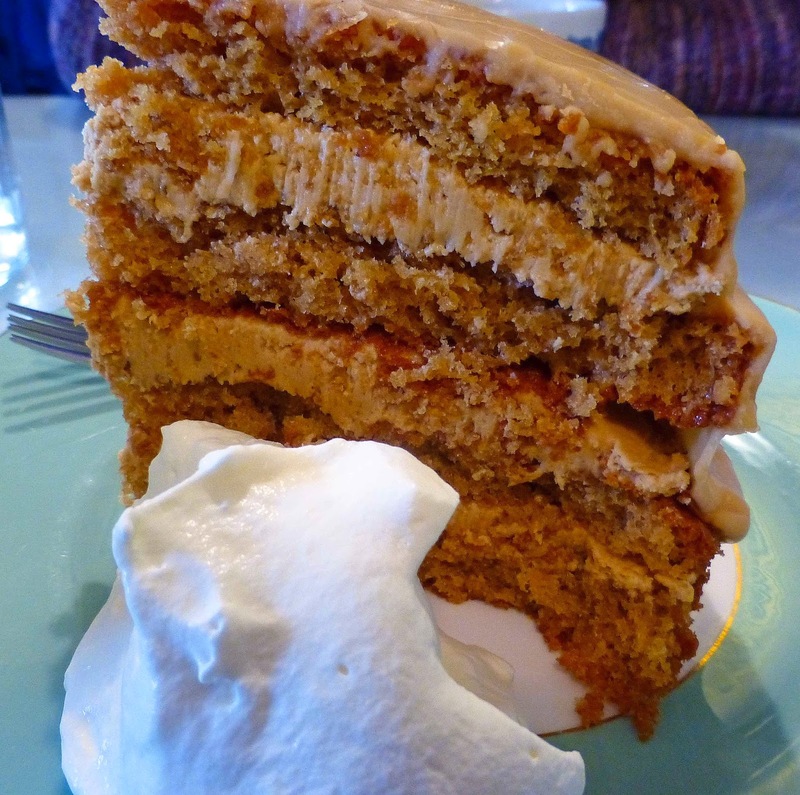 You never know what treasure you’ll find in Roughty Foodie. This is a fairly small estate and much of the work is done by hand. This is a classic blend, half Merlot, half Cabernet Sauvignon. It is pleasant and supple on the palate, has excellent flavours and some spice. Tannins too but just about. And this superb dry wine finishes so well. Very Highly Recommended. I passed Chateau des Fougeres quite a few times last summer but never visited. Charles de Montesquieu, for whom this wine is named, was a philosopher and author as well as a public figure, businessman and wine grower. He lived in La Brède, overseeing the development of his estate and his vineyard. He was the first to promote the wines of the Graves region, and did much to build their reputation throughout France and in Britain. 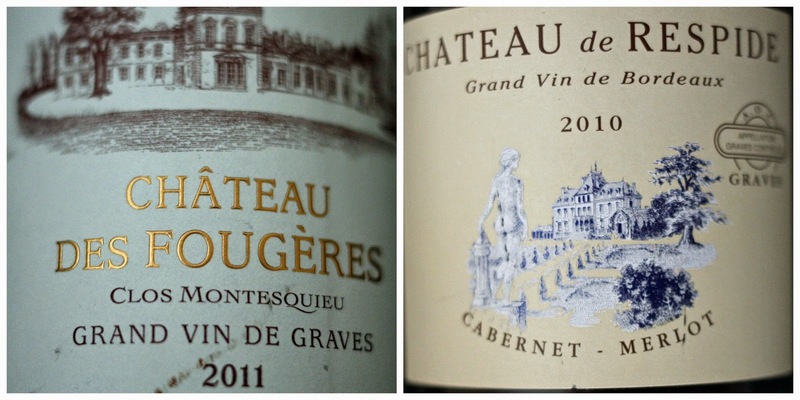 Clos Montesquieu Graves rouge is raised in French oak casks for 14 to 16 months. “Its ageing potential has increased over the past vintages and will continue to do so thanks to various ongoing projects. The grapes we use for this wine come from our most gravelly parcels.” And that gravel gives you a big hint as to how to pronounce Graves! The chateau is proud of “this high-end wine”, a blend of Merlot (48%), Cabernet Sauvignon (47) and Petit Verdot (5). 24,000 bottles were produced and it has spent 12 months in oak (50% of which is new timber). Colour here is quite a dark red and there are intense fruits on the nose. On the palate, it is smooth, and fruity too, hints of spice, but all under close control. Tannins are present but not obtrusive. All in all, a superbly made superbly balanced wine, “suitable for Bordeaux Grands enthusiasts” as they say at the chateau who indicate it goes well with “dishes in sauce”, meats, poultry and cheese. Very Highly Recommended. The style of wine from both these vineyards, both left bank, is essentially the same as that in Pessac Leognan so that means good value can be found here and neither chateau is too far away from the Autoroute Des Deux Mers (A62), familiar to more than a few Irish holidaymakers. Alternatively, why not detour to Podensac where’ll you find the Maison des Vins (where 100s of chateaux are represented) and also the Lillet distillery. Aromas give the game away! Del Duque Amontillado, Jerez (aged 30 years), 21.5%, €22.99 Bradley’s, North Main Street. The minute she walked in the room, I lost all chance of keeping the precious 37.5cl bottle of Del Duque Amontillado for myself. “What is that aroma?”, she asked, enthusiastically. “Toastie? Caramel? So sharp. So clear. Where is is coming from?” I just had to offer her a glass. Knowing full well it wouldn't stop at that. Now that this Gonzalez Byass bottle was out in the open - had been under a small coffee table - I could really appreciate its brilliant amber colour, even enjoy those marvellous aromas, fruit and floral notes there too and hints of cinnamon. Little sips will do you, I advised. And took that advice myself. Thirty years on - the wine, that is, not us - the palate is dry and lively, aromas everywhere in those intense and complex flavours, such concentration and, of course, that marvellous finish. Don't go chilling this by the way - serve it at room temperature, with some mature Hegarty’s cheddar perhaps. A Glass of Croft for the Cook! Needed a glass of Port for a favourite liver recipe the other evening. But the cupboard was bare! A quick dash (maybe not that quick, I did have the dog in tow) to the local O'Donovan's Off Licence uncovered this one (and in fairness, quite a few more). This full bodied very approachable ruby is quite fruity with a decent bit of spice.Three years in seasoned oak hasn't done it any harm at all. It did its sweet job with the liver and the glass for the cook, recommended by the O'Donovan's manager, went down very well indeed. Ruby ports are also ideal with the cheese-board and this could hold its own with Crozier or Cashel Blue. Or maybe just have it on its own. The company of Taylor, Fladgate and Yeatman is one of the most significant of all Port producers. They own a number of Port houses, including Taylor’s, Fonseca and Croft. Ruby port is the cheapest and most extensively produced type of port. It does not generally improve with age. Superior Spelt Muesli from Tipperary’s Ballybrado Farm is our Taste of the Week, a terrific balance of tastes and flavours and organic to boot. Look at the ingredients: Raisins, Spelt flakes, Green raisins, Raspberries, puffed spelt, almonds, sunflower seeds, golden linseeds, oat flakes, spelt crunchy, roasted hazelnuts, all enough to get your day off to a cracking start. I got my pack at Roughty Foods in the English Market. 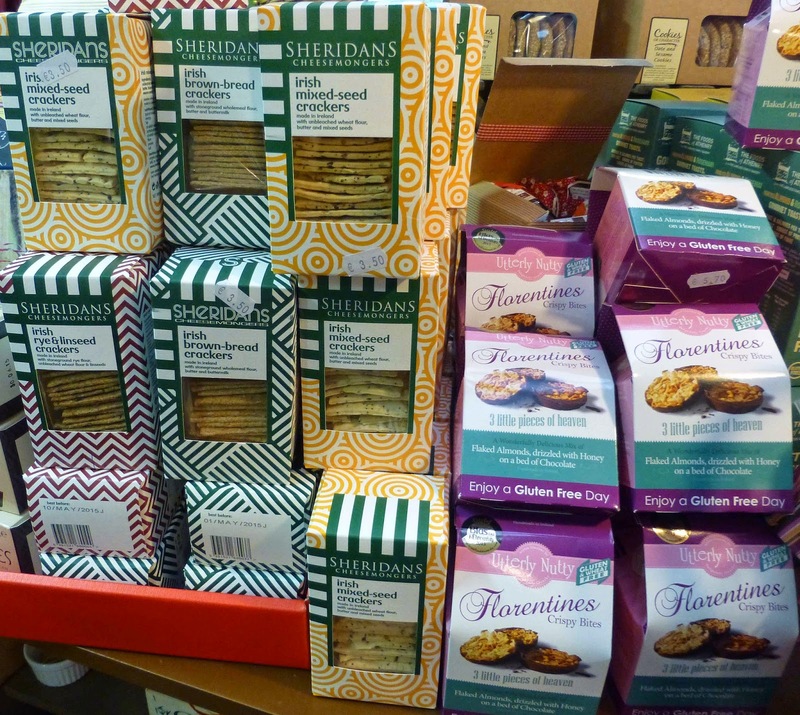 Ballybrado, in County Tipperary, do a range of products including cereals, flours, baking mixes and breads. February 7th and 8th 2015 at Thomond Park in Limerick will see the first Food Conference of its kind take place on our island. Named the Wise Traditions Ireland Conference the focus is on Food, Farming and the Healing Arts and will no doubt appeal to foodies and non foodies alike. The Foundation is dedicated to restoring nutrient-dense foods to the human diet through education, research and activism based on the solid research of nutrition pioneer Dr Weston Price. It supports a number of movements that contribute to this objective including accurate nutrition instruction, organic and biodynamic farming, pasture-feeding of livestock, community-supported farms, honest and informative labeling, prepared parenting and nurturing therapies. Founded in 1999 by Sally Fallon Morell, the Foundation has grown and expanded in its membership and activities exponentially. In an era when populations are struggling with ill health, both physical and mental, digestive problems, allergies etc it is timely that this event comes to Ireland and gives an opportunity for us to see how it is possible to regain health and reverse many chronic health conditions using the wisdom of our ancestors. For an eye opening and mind-expanding two-day event that will challenge all your beliefs about nutrition, don’t miss this one of a kind conference where you get to hear expert speakers, meet nutritionists, parents and people who care about their and their family’s health, and eat some delicious food too! 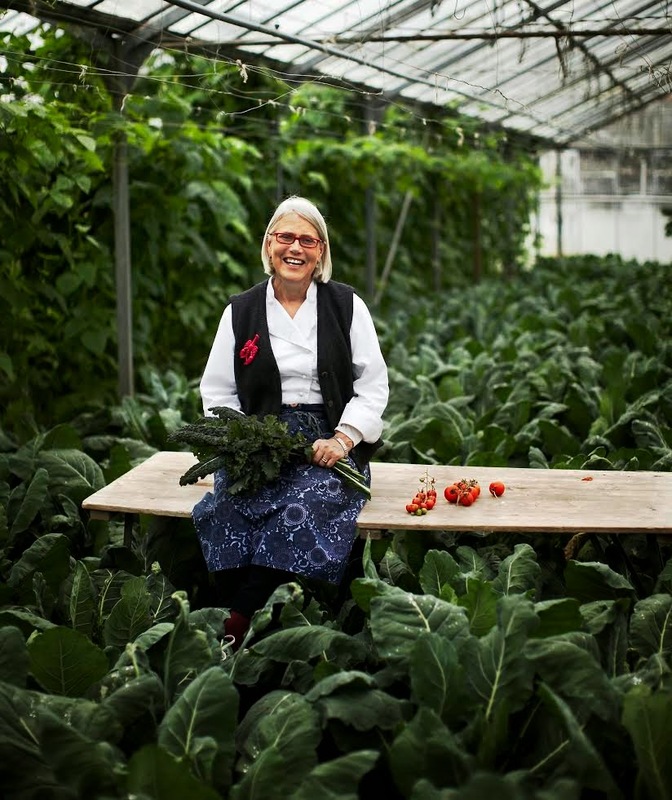 Key speakers: Darina Allen - Ballymaloe Cookery School and Champion of local food. Sally Fallon Morell - USA, author of Nourishing Traditions, the cookbook that challenges politically correct nutrition and the diet dictocrats. Tickets for the event cost €70 for one day and €117 for the full two-day event and a delicious lunch based on WAPF and GAPS principles created from locally sourced produce is included in the price. Amarone and Ripasso. Not Quite Brothers. But Related. Not Quite Brothers. But Related. Amarone is a rich Italian dry red wine, from the Valpolicella zone centred around Verona in the Veneto region. It is much sought after and made from partially dried grapes. Grapes are allowed to dry, traditionally on straw mats but much Amarone is nowadays produced in special drying chambers. The practice is known as appassimento. Ripasso is a less expensive red wine, made by fermenting young wine with the unpressed but drained skins and lees left over from making Amarone and this process can give given the Ripasso a “super-charge”. This is known as ripasso (re-passed). With so much “interference” going on in the winery, there are bound to be different styles across the area. If you’d like to try and compare the two examples below, you’ll find them in SuperValu, both with the Specially Sourced stamp. Supra Sasson Amarone della Valpolicella 2009 (Italy), 15%, €25.00 SuperValu. I’ve seen this described as “half-resembling Port” but I think that may be going a bit too far. Still, it is an excellent easy drinking wine and Very Highly Recommended. Colour is an intense red, close to purple. Aromas too are rather intense, mainly of red fruit. On the palate, it flows across impressively, a full bodied warming wine with no shortage of fruit, concentrated and very pleasant indeed and with little hint of that 15% abv. 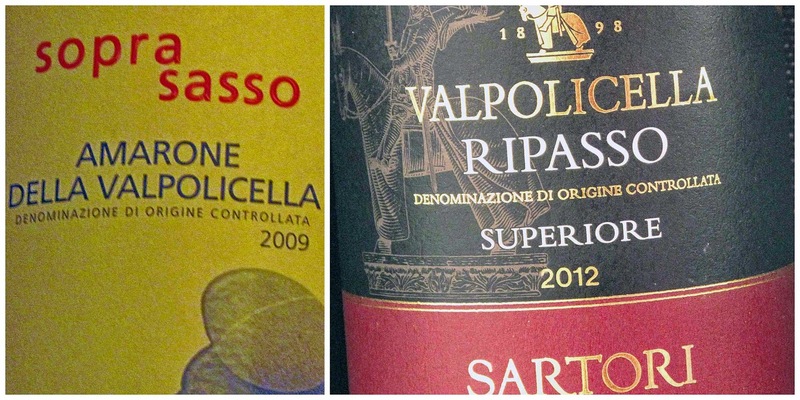 Sartori Valpolicella Ripasso Superiore 2012 (Italy), 13.5%, €12.00 (reduced from 19.99) SuperValu. The Ripasso is not as darkly coloured but its aromas are also very inviting indeed. Another warming wine on the palate with excellent flavours and spices, a very well structured wine with a much lower abv. Might be a “baby” Amarone but quite a big rich one and also Very Highly Recommended. The focus in SuperValu turns to French wines from the 12th of next month when they display a handpicked selection of "stellar wines". The list covers many areas of the country, from the Loire to Bordeaux, and already I have earmarked a Chablis Premier Cru (€20) and a Vacqueyras Domaine St Roch (12) as two to sample. And not just from the big name areas. There are interesting wines too from St Chinian, Corbieres and Minervois. And, if you're in the mood to try a new variety, they have a hand-harvested Carignan (10.00) and a young Mourvedre (9.00) and also a Bourboulenc (10.00). Looking forward to trying some of those! Crawford Gallery Café. Bright Palette in City Centre. A touch of Spring about the scene in the Crawford Gallery Café when I called there last Thursday. Light streaming through the high windows, daffodils on the tables, smiles on the welcoming faces. And a tempting menu to study. The January menu is outstanding actually, regular favourites such as Steak and Chips but also quite a few different items such as the Roast Marrow Bone. 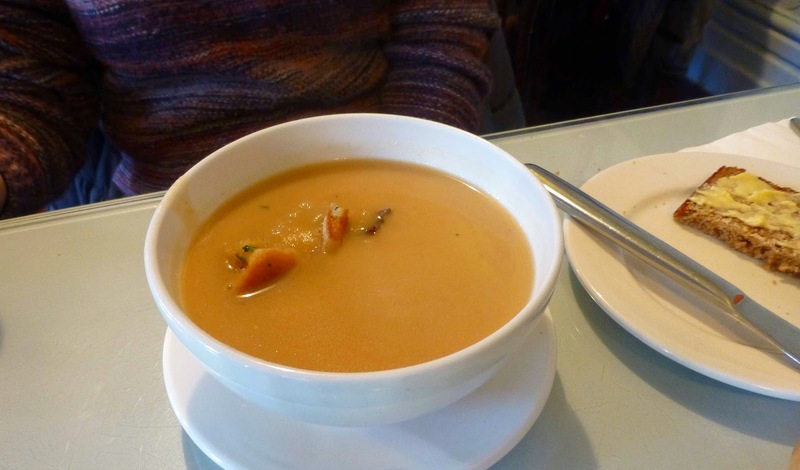 CL picked the Turnip and Bacon Soup (5.50) as her starter. Not everyday you see that combination but the local produce was excellent and, well cooked, proved a lovely warm starter on a cold day. 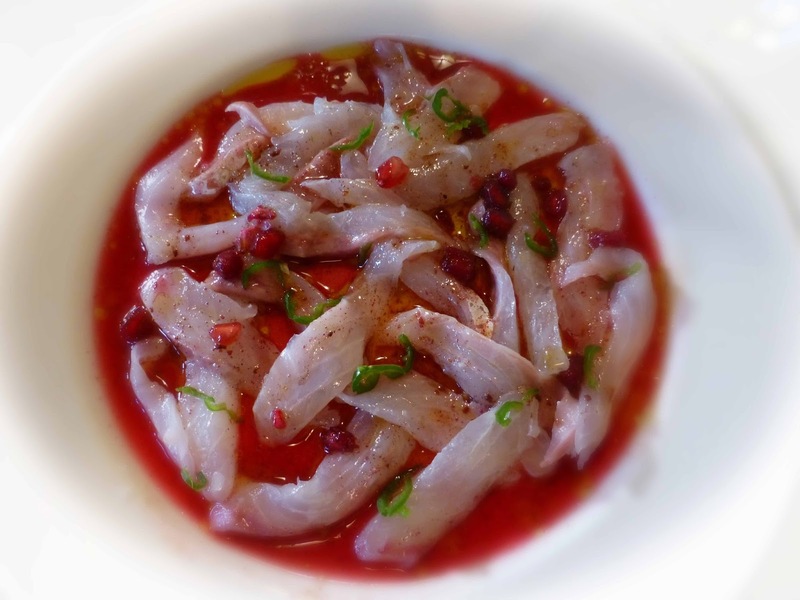 Mine was the Cured Sea Bream with Pomegranate Juice and Cumin (7.00), the inspiration for this from a little further east than the turnip and bacon! Looked like a work of art (had to squeeze that in, since the cafe is on the heart of the Gallery). Tasted rather well too, terrific flavors and textures, the rich fish enhanced by the juice and taking a wee lift from the cumin. Delightful. Very highly recommended. And do watch out for other dishes of this style here in the future. 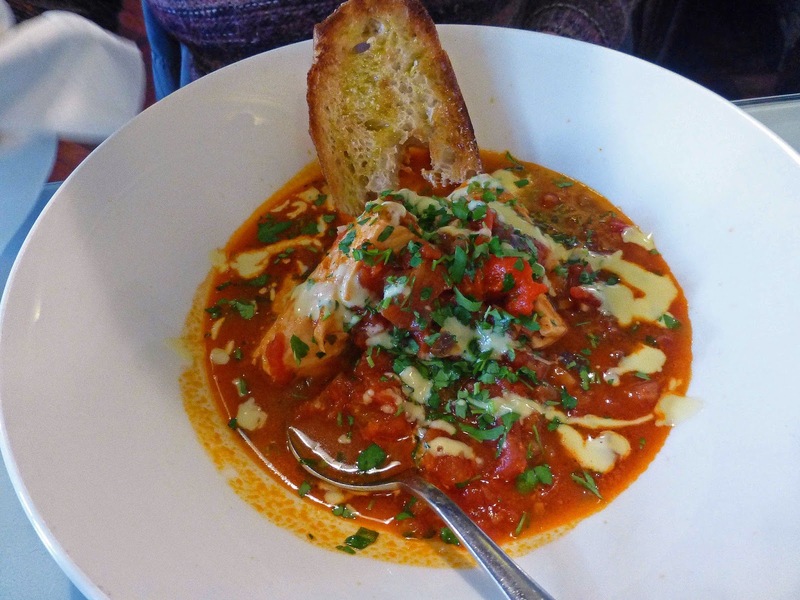 The Salmon dish had attracted CL from the minute she saw it on the list: Salmon in a tomato, roast red pepper, herby broth, with garlic sauce and sourdough crouton (14.95). And she was delighted with it, loved the combination and thrilled with the light broth. No cream here to fill you up and so you go on to clean the plate. 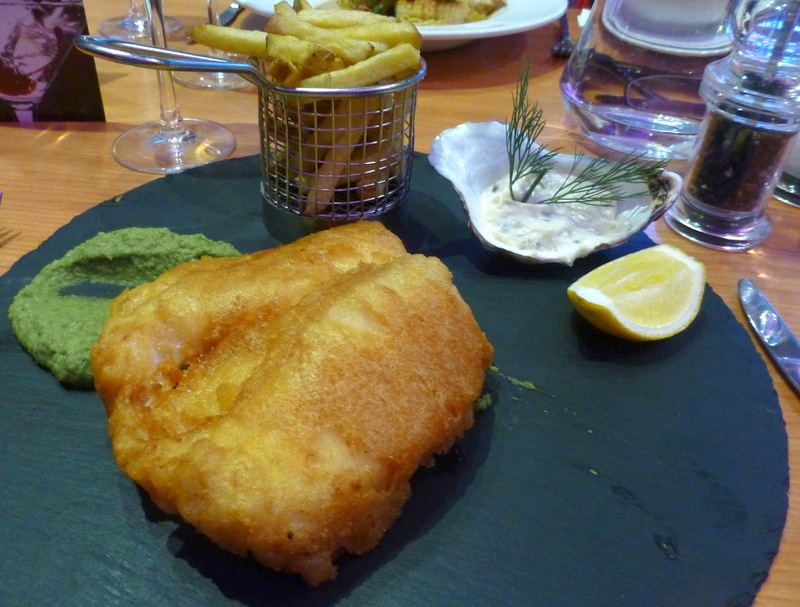 Much the same could be said for me, except that mine was served on a timber platter. I love my aubergine, perhaps my favourite of the non-traditional vegetables, and I’ve had some great dishes with it featuring. And this, even though it was just a humble “toastie”, was another excellent one. 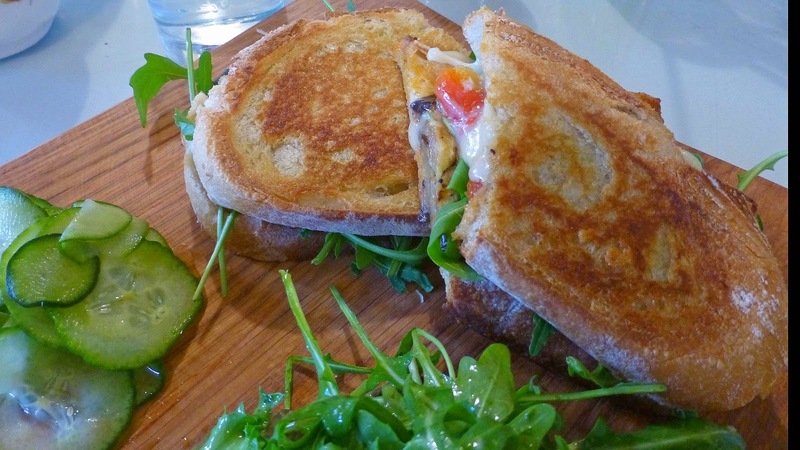 Aubergine, roasted red pepper, Gruyere toasted sourdough, with sundried tomato pesto, cucumber pickle and a little salad (10.95). Toastie or not, I dined like a king, for this was a royal standard sandwich. Just goes to show when the ingredients are good and matched by the kitchen, the customer is a winner. And the customer is certainly a winner here. And quite a few know it, as the room was packed last Thursday! Event postponed until September !!! 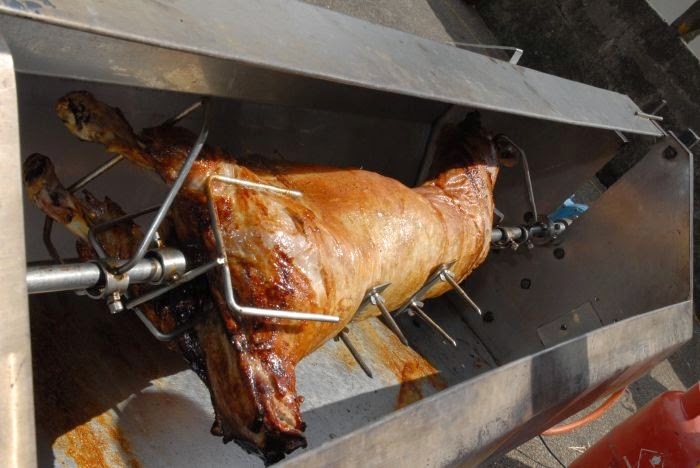 featuring exquisite Comeragh Mountain Lamb, from West Waterford. nibble on Comeragh Mountain Lamb canapés created by the two star chefs. Representing the Déise is multi-award winning Michael Quinn, formerly head chef at Waterford Castle. Donning the Cork jersey will be Graham Neville, Restaurant 41, Dublin, currently Food & Wine Magazine Irish Chef of the Year. When: Thursday, 5th February, 6.30pm. in the heart of Cork city. Time was, and, in some places it still is, that you got chicken, salmon, and just maybe a mundane vegetarian option on the nation's Early Bird menus. I've been looking at a few, only a few mind you, and things have certainly got better. Just one or two choices from each restaurant appears below. To see the full list, click on the restaurant name. Understandably, the number of choices may be limited but that doesn't mean that quality should be cut. No point in restaurants letting standards down. Better to have fewer choices at a high standard. After all, Early Bird or not, the kitchen's reputation is at stake. 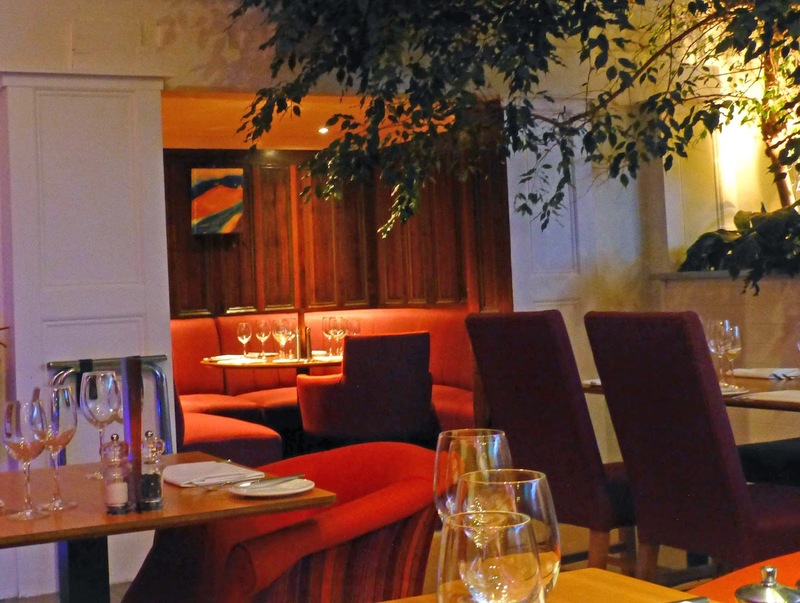 Early Birds come in various guises, sometimes called Prix Fixe or Pre-Theatre. In some cases, they're available all night, especially earlier in the week. So do check the details online before you go and find a budget, a place, a time and, above all, a menu that will suit your palate. Confit of duck, with creamy flageolet beans, rustic potatoes, green beans and a red wine sauce. Red Thai Chicken Curry, with Coconut milk, spices, coriander, red peppers and cream with basmati rise and poppadum crisps. 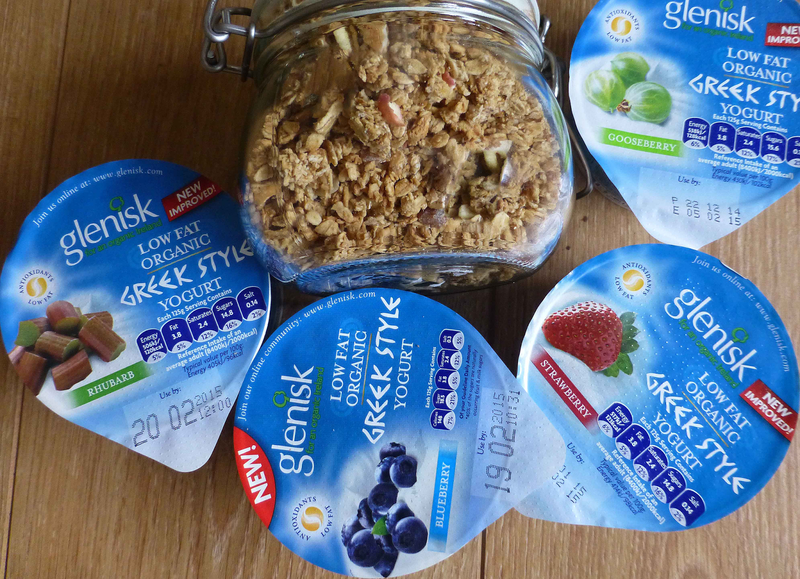 Have been enjoying my breakfasts these mornings, mixing a little granola with the gorgeous Greek Style Yoghurts from Glenisk, the Taste of the Week. These creamy tubfuls come in a range of mouth watering flavours and contain beneficial probiotic cultures to promote healthy digestion. And, even better, they are natural organic yogurts. Flavours include Strawberry, Blueberry, Rhubarb, Apple, Gooseberry, and the limited edition Raspberry and Lemon Curd. Lots of choice then and, if you are stuck for time, they even do tubs of Natural Yoghurt with the granola included. No excuse! Favourites here were the Blueberry and Strawberry but I'm sure you’ll have your own! 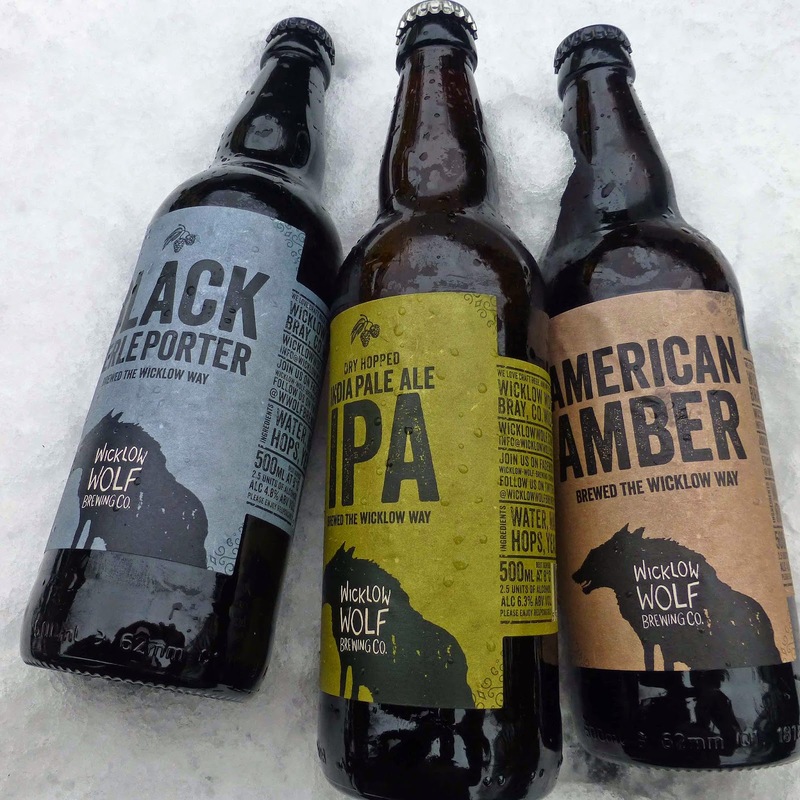 The Wicklow Wolf is a new brewery based in the county where Ireland’s last wolf reputedly roamed, in ever decreasing circles chasing his tail. Now they're chasing his ale. The colour tells you this is an Amber ale. The label tells you it is made with water, malted barley, hops, yeast, and love! Your palate tells you it is very good: sweet caramel and tropical fruit tones, balanced by a tang of citrus hops. Mellow magic, made the Wicklow way. The wolf goes wild here, punching above his weight with a “powerful blend of Cascade and Simcoe hops, grapefruit, citrus, pine and passionfruit.” Above the normal ABV too but the overall result is a knockout win for the lovers of the hop. This is the Wolf’s dark side, his Porter, richer than many stouts and just as tasty, full of “dark caramel, chocolate, coffee and toasted malt”. The Wolf has his way with the classic English porter here, melding the German Perle hop into the richness and yielding an intense complexity, character enough “to satisfy any dark beer drinker”. Glad to confirm the brewer’s claims! Now, let’s see him make a stout! * The brewery also do two other beers, a Brown Cream Ale and a Fresh Hopped Blonde Ale. Keep up to date at their Facebook page. Well Worth Opening A Bocksbeutel or Two! First thing you notice with these two whites is the shape of the bottle; it looks a lot like a leather pouch or a cowboy’s water canteen. It is known locally in Franken as a bocksbeutel and is used in this German wine region (also known as Franconia in English) to hold their best wines. And quality is more seriously indicated by the VDP in the neck of the bottle. Würzburg is the area’s capital. 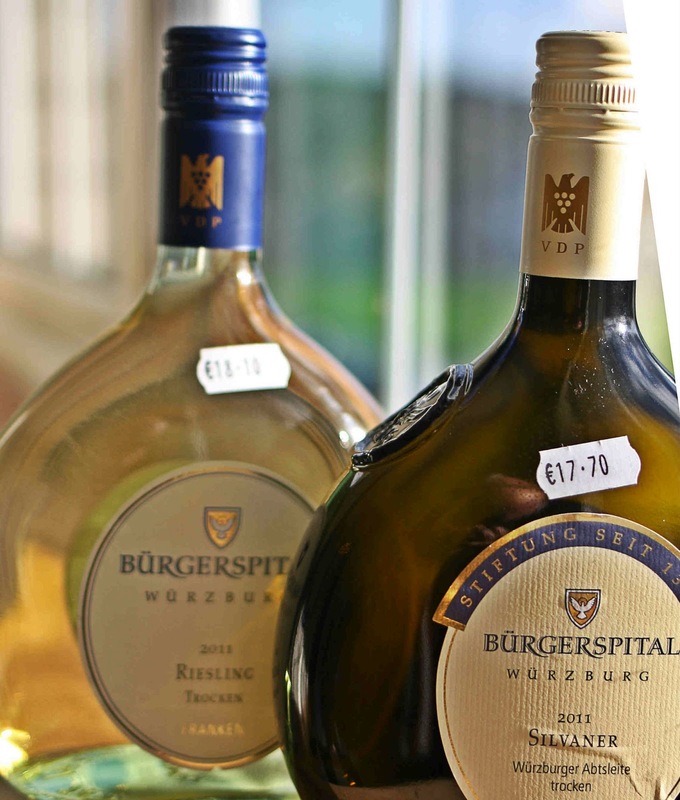 The Burgerspital is a charitable trust, founded in 1316, and “every bottle that its wine estate sells helps promote the trust”, now taking care of some 750 senior citizens. Not too sure about the present but in 1598 the daily allowance was 1.22 litres! Now, I wonder would any of our craft breweries like to start something similar! Silvaner (sometime spelt Sylvaner) is grown primarily in Germany and is a component of Liebfraumilch. Don't worry, they handle it rather differently in Franken. This one has subtle but very pleasant aromas. Colour is a very pale gold and you’ll see more than a few stationary bubbles. On the palate, it is round and spicy, smooth and well balanced with a fine acidity and this delicious wine also finishes well. Quite liked it and Very Highly Recommended. The makers suggest matching it with fish and white meat. Racy is not a word I've seen associated with Riesling very often but racy and fruity are the two key words in the winery's shop description of this wine. There is nothing delicate here, indeed it is rather muscular for a Riesling, full bodied, with attractive fruit flavours, complex and long on the finish. Impressive. It is well made for sure and a worthy occupant of the bocksbeutel, the legally protected distinctive bottle, “allegedly shaped like a ram’s testicles”, also a "goat's scrotum", both according to the Finest Wines of Germany (2012, Aurum Press). Maybe that’s where the racy came from. The bottle's neck, like the Silvaner, is stamped VDP. Very Highly Recommended. Colour is pale gold with hints of green. Aromas are subtle, some floral and citrus traces (no petrol!) evident. They recommend pairing it with light dishes, salads and pasta. We matched it with monkfish (with tomatoes, crème fraîche and Vermouth) and noodles and it worked out very well indeed. Raising Uisce Beatha. Irish Whiskey Renaissance. Phô Bar. Hawkers Corner in Cork.